Why is Too Much Blue Light Bad for My Eyes? You are here: Home / News & Eye Conditions / Latest News / Why is Too Much Blue Light Bad for My Eyes? Blue light is everywhere, with the sun being a major source of blue light. Now it’s important to note that not all blue light you are exposed to on a daily basis is bad. Why does blue light have such harmful effects to the eye? Unlike UV radiation, almost all of the visible blue light can pass through your cornea and lens to reach the back of your eye (the retina). As the blue light reaches all the way to the retina, prolonged exposure can lead to damage to the light sensitive cells located in the retina. Over time this can lead to the development of macular degeneration which can cause permanent vision loss and blindness. Is there anything I can do to reduce blue light exposure? 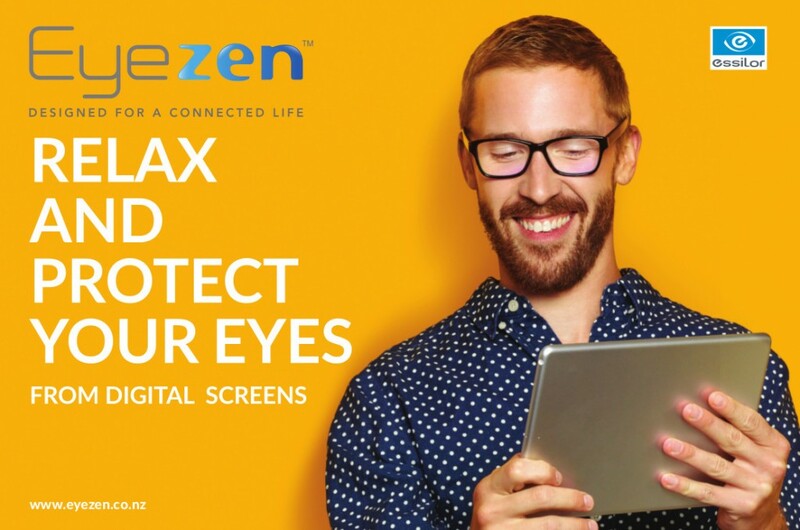 The good news is that new lens technology has been developed by Essilor that help to reduce the amount of blue light entering your eye and therefore can be protective against the harmful effects that blue light can have over time. If you would like to reduce the amount of blue light you are being exposed to book an appointment and ask our highly qualified Optometrists about the new blue light lens technology. You can make an appointment at our Nedlands or Innaloo practice by phoning (08) 93868581 (Nedlands) or (08) 94461887 (Innaloo). We look forward to helping you see clearly and more comfortably.